From Adam Kimmel&apos;s Spring/Summer 2011 collection, which is inspired by none other than Snoop Dogg, comes the Site Boot. The boot is reminiscent of the Timberland 6" Boot, but with added features. 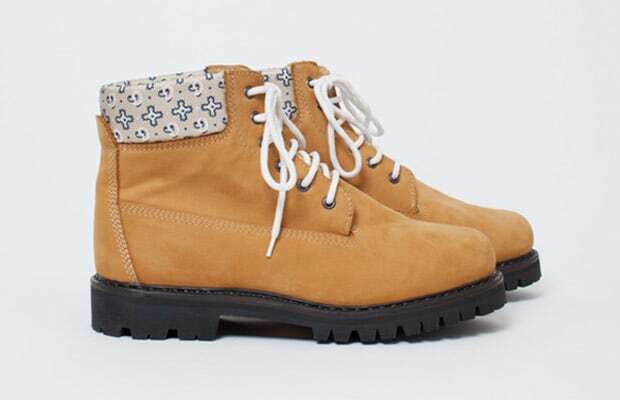 The boot has a suede wheat upper with a canvas bandana print on the collar, white laces, and a black vibram outsole. Available now for $495.00 at the Tres Bien shop.